A woman who has felt cut off from her female nature, can slowly recover who she is as the creative source inside her begins to flow. This starts with recognizing the battle that she has fought in her life because she had to survive in the world. Who she really is, can only be discovered if she learns to internalize moments of silence in her life. Then her inner struggle starts to stir in her daily life that is reflected in behaviours and patterns that she herself experiences very unpleasant. From my own personal development - from executive assistant to an Indian temple dancer, busines counselor and wife of a CEO - I have discovered how my process is still going on. In my life I have had encounters with many women who share a similar process and collateral battles. Unfortunately some of them remain glued much too long in this uncomfortable area. Stimulated by these encounters I have developed a workshop how to discover your own feminine power and embed it in your daily life. Following movie shows this process. For an unlimited period of time you get access to a number of instructional videos, practice exercises and background information. So you can follow the lessons at your own pace. If you keep an interval of a week between each lesson you can process the insights easily. The complete workshop consists of a series of 10 downloadable lessons, which can be purchased separately. If you are really get enthusiastic, then get your total package through this website, Rise your power. self observations using video, drawing and visualization exercises. In short: this training increases your self-awareness and self-reliance. That affects your 'quality of life'. 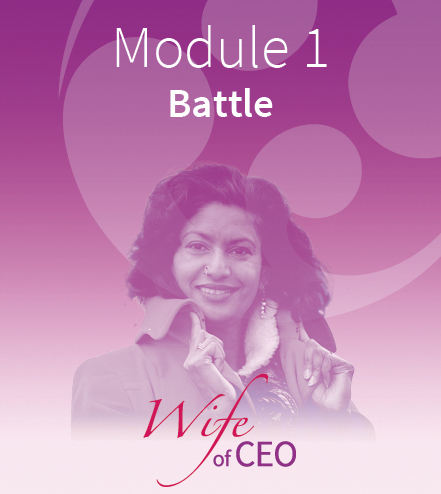 The first module with step 1 helps you to become aware of who you really are and at which levels different dynamics are stirring inside you. This module includes a number of PDFs and a podcast with a listening exercise.